Murder by Gaslight: A Matter of Honor. 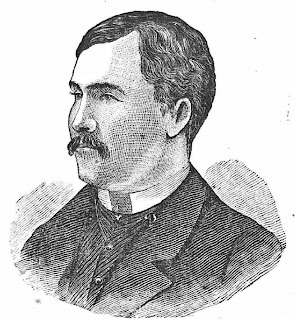 In the autumn of 1882, in Uniontown, Pennsylvania, Nicholas L. Dukes learned that his fiancée, Lizzie Nutt, had been intimate with other men. An honorable man would have confronted his betrothed and ended their engagement face-to-face. 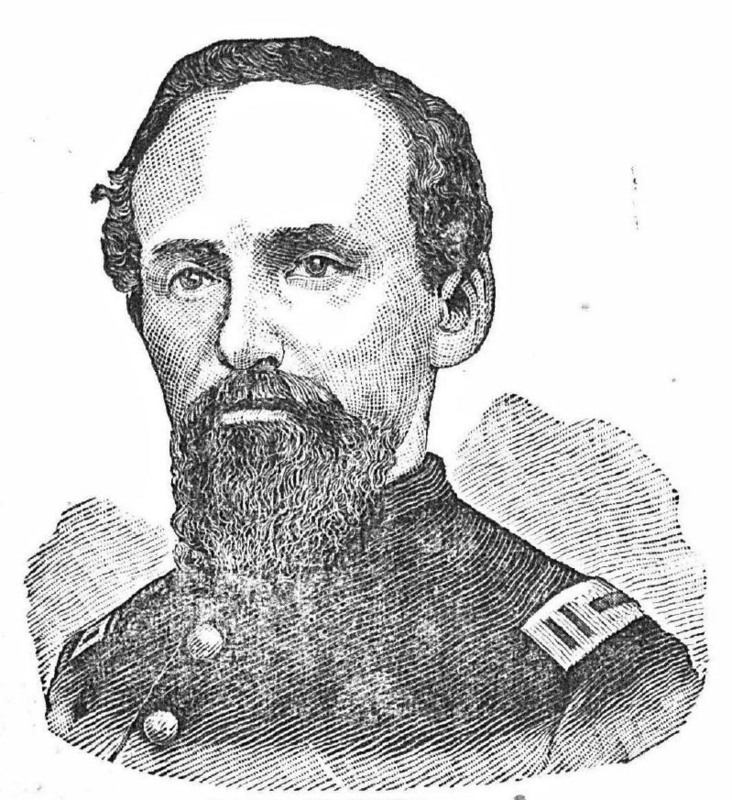 Dukes chose to break the engagement in a letter written to Lizzie’s father, Civil War hero and Cashier of the Pennsylvania State Treasury, Captain A. C. Nutt. 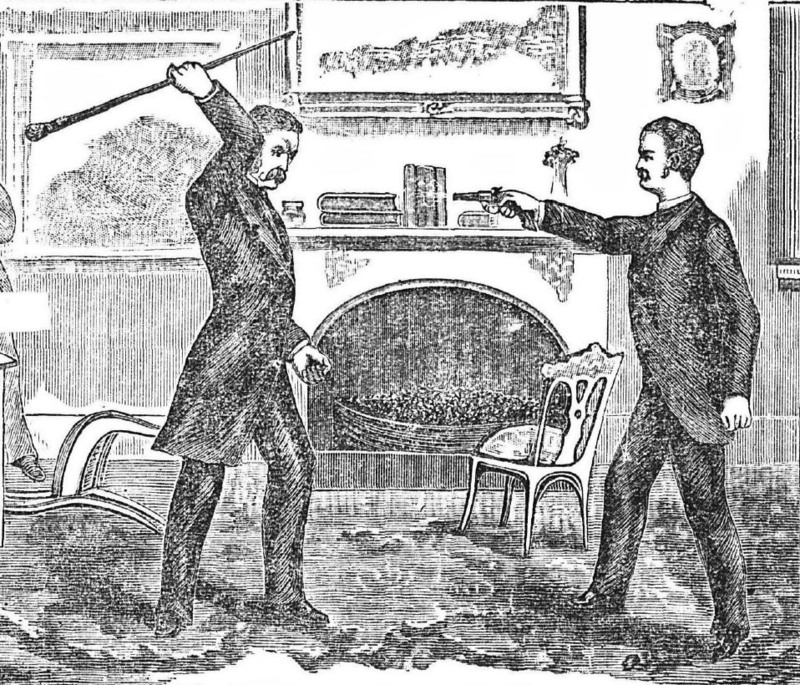 The resulting conflict was so divisive and violent that it would take two murders and two controversial trial verdicts to restore honor to Uniontown. From the beginning of their courtship, however, Dukes had been jealous of the attention Lizzie paid to other men and was troubled by the bits of gossip he heard about her. In spite of these doubts, Nicholas Dukes asked Lizzie Nutt to marry him and she accepted. 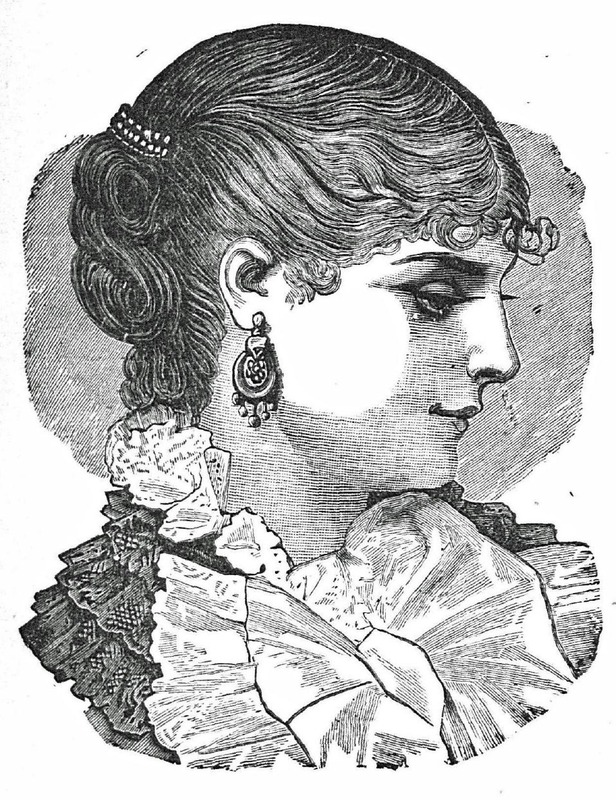 But Dukes was still worried about Lizzie’s reputation and went to see her, determined to test whether Lizzie’s character was a loose as the slander would suggest. Instead he asked Lizzie to give him the engagement ring because he meant to replace it with a better one. And instead of breaking the engagement, in early December Dukes sent a letter to A. C. Nutt, explaining that his daughter was promiscuous and probably pregnant. Dukes stressed that he was not the daughter’s seducer, and, using proper Victorian innuendo, implied that abortion would be the best course for all involved. Captain Nutt requested that Dukes visit him at his home on December 23 to discuss the matter face-to-face. Dukes refused to meet Nutt at his home, fearing that he would walk into a “death-trap,” instead he requested Nutt come to him and talk. On December 24, 1882, Captain Nutt, accompanied by his nephew, F. C. Breckenridge, and a Mr. James Feather, went to see Nicholas Dukes at the Jennings Hotel in downtown Uniontown where Dukes was living at the time. The other men waited outside as Nutt went into Dukes’s room alone. They heard sounds of a scuffle from inside the room, then a muffled cry of “murder.” Breckenridge and Feather rushed in and separated the men. Nutt, completely exhausted, was leaning against the mantelpiece when Dukes pulled a revolver from his overcoat and shot Captain Nutt, killing him. Dukes willingly surrendered to the police. Angry mobs, bent on lynching, gathered in Uniontown as the news of the shooting spread, and jail was the safest place for the killer. The murder of Captain Nutt became a national story and the trial drew crowds from all across the country. The prosecution argued that the murder was premeditated and sought a verdict of first degree murder. Dukes pleaded self-defense, claiming that he did not reach for his pistol until he saw Captain Nutt reach for his. The defense tried to have the letters between Dukes and Nutt withheld as evidence, saying that they were irrelevant to the case, but the judge allowed them. After the letters were read in court, the defense claimed that, when viewed in the proper light, the letters were an act of friendship toward Captain Nutt. That night on the streets of Uniontown there were frenzied threats to lynch Dukes and take vengeance on the jury. Though Dukes was kept safely inside, a chanting crowd hanged him in effigy. Lizzie Nutt had not been pregnant. She denied all of the allegations that Dukes made in his letters. Jesse Bogardus issued a sworn affidavit saying that he had not seen Lizzie Nutt in seven years, had never had “criminal relations” with her, and had no reason to believe her to be anything but a virtuous young girl. Two other men mentioned in the letters issued similar affidavits. It later came out that Dukes had been engaged to two other women in addition to Lizzie Nutt. Telegrams arrived in Uniontown from elected officials, newspaper editors and concerned citizens denouncing the jury’s verdict. A committee of prominent Uniontown citizens was formed to issue a document of resolutions condemning Dukes and the verdict. Dukes was disbarred and resigned from his seat in the state legislature to avoid expulsion. Nicholas Dukes remained in in Uniontown, but the sentiment against him there never abated. 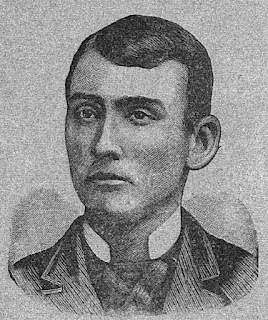 On the evening of June 13, 1883, as Dukes was walking to post office, James Nutt, Lizzie’s nineteen-year-old brother, came out of a doorway behind him and shot Dukes twice in the back. As Duke started to run away, James fired three more shots. Dukes reached the top of the post offices stairs where he collapsed and died. 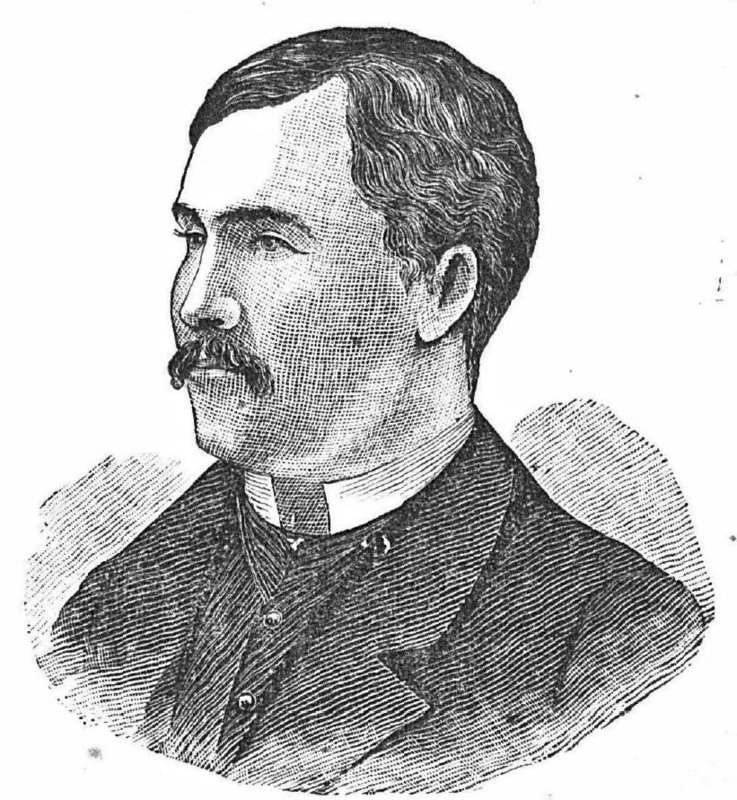 A policeman ran to the scene and arrested James Nutt who put up no resistance. “You have done a bad piece of work,” said the policeman. “Yes; but I could not help it.” Nutt replied. This time public sentiment in Uniontown was overwhelmingly in favor of the defendant. So much so that it was impossible to find an impartial jury there and the venue of the trial was changed to Pittsburg. Even there, excitement was so great that huge crowds of people gathered around the courthouse hoping to gain admission. Pamphlets giving the history of the Dukes-Nutt tragedy, complete with woodcut illustrations, were sold by book agents outside the courthouse. Inside, the judge had to admonish spectators for bringing bouquets of flowers to the defense table. The prosecution argued for premeditated murder. James Nutt had been seen target shooting with a pistol the afternoon of the murder. The defense team, led by Daniel W. Voorhees—a sitting U. S. Senator from Indiana who had volunteered his services, pro bono—pleaded not guilty by reason of emotional insanity. The crowd listened in silence to Senator Voorhees’s closing statement. When he boldly declared that he would advise any young man in James Nutt’s circumstances to use a shotgun instead of a revolver, they cheered heartily. Following the Senator’s oration, the judge came down from the bench and, with tears in his eyes, thanked him. This time the not guilty verdict was loudly cheered. James Nutt was held for one more day so that he could be examined by a committee to determine his present mental condition. The following day James Nutt was released and, amid great rejoicing, returned to his home in Uniontown. Two years later James Nutt was arrested again for attempted murder. He had moved to Kansas and was living on a farm. He shot two people, and at his trial he once again tried the insanity defense. It did not work in Kansas and Nutt received a lengthy prison sentence. 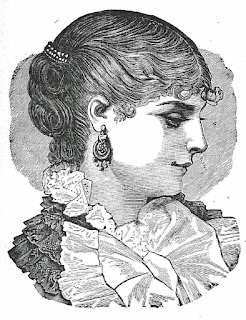 Lizzie Nutt's Sad Experience Philadelphia, Pa: Barclay & Co., 1883. "The Story of Dukes's Crime.." The New York Times 14 June 1883. Really interesting story. That the son should move out west and then kill two more people makes it a lot less black and white. He might have avenged his fathers death for the wrong reason, because he liked shooting people. Do you have any information on why he killed twice more? And do you know what happened to Elizabeth? All I have on the Kansas shootings is a couple of sentences at the end of an old pamphlet. Maybe being acquitted of murder at such a young age made him more likely to see violence as a way to solve his problems. Nothing more on Elizabeth, which is probably a good thing. I'm also curious about what happened to Lizzie. The newspaper noted "Lizzie is 30 years of age and is still pretty. Her marriage is the result of an early attachment." They later moved to Oklahoma. Samuel J. Krepps died in 1922 and Eliza N. Krepps, died in 1936 both have gravestones in Rose Hill Burial Park, Oklahoma City, OK.
Nice work PrairieFlower, thank you! When I get a chance I will add this information to the post.